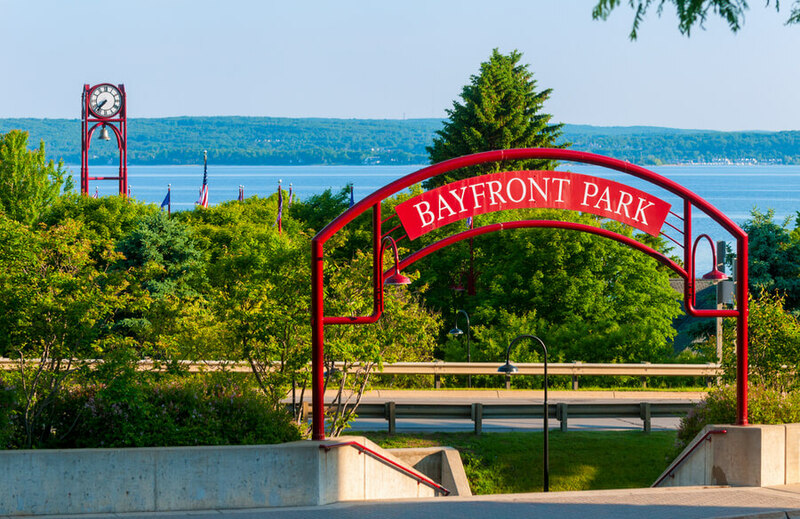 The Harbor Hall rehabilitation center is located less than a mile away from the Great Lakes, in Petoskey, Michigan. The Harbor Hall is a gender-specific residential facility that offers inpatient treatment program to male patients only, whereas female patients are only offered the option for an outpatient treatment program. Patients of all ages are all accepted at the facility, with the sole difference that the adult patients are welcomed into both the inpatient and the outpatient treatment programs, and the children and adolescents are only welcomed in the outpatient treatment programs along with the female patients of all ages. Upon arrival, all patients are required to complete their detoxification; however, full medical detoxification is not available on-site. Instead, the facility is equipped with only a sub-acute model of detox, which is recommended to patients who are experiencing some less severe withdrawal symptoms. Any other are referred to the nearest detoxification facility to complete their full detox. Both the inpatient and the outpatient treatment programs include individual and group therapy sessions, as well as, family therapy sessions and family counseling when needed, following the 12-step recovery process and using the principles of CBT (Cognitive Behavioral Therapy) and DBT (Dialectical Behavioral Therapy). Group therapy is thought to have a greater influence on the recovery process which is why during these sessions, the patients attend life skills classes, relapse prevention classes, social, and decision making classes as well. After completing their treatment at the Harbor Hall rehabilitation center, the patients are offered an option for transitional care as a part of which, the patients are engaging in group therapy sessions over the period of 26 weeks. The transitional care program is available to all patients – men, women, children, adolescents, and adults. The Harbor Hall rehabilitation center is actually an old, sprawling house, that can accommodate up to 38 patients at a time. The patients are accommodated into rooms which they are meant to share with each other – with two or three roommates at a time. All of the rooms are fully furnished with twin beds, dressers, bedside tables, desks and chairs, as well as, shared bathrooms. The main kitchen is where three hot meals a day are served. The meals are prepared on-site by now, a past residential patient at the Harbor Hall rehabilitation center who now works as a certified cook. Any dietary requirements are usually respected. The facility itself is built near the Bear River Park and a small river that goes through it which the patients are encouraged to visit in their free time when the weather is nice. Inpatient treatment program – Male patients can participate in an inpatient treatment program which they are encouraged to do, especially if they are suffering from severe substance dependence. As a part of this program, the patients are required to live on the grounds of the facility during their treatment, whose duration is between 28 and 90 days, depending on the condition and the case of the patient. The inpatient treatment program includes all of the therapies available on-site including the regular individual and group therapy sessions, as well as, the AA/NA meetings. Each inpatient treatment program is highly individualized according to the needs of the patient. Outpatient treatment program – The outpatient treatment program is recommended to those patients who are seeking a step-down treatment whose medical condition allows it. The outpatient treatment program is gender-specific, offered to both male and female patients of any age group – children, adolescents, and adults are all accepted. The outpatient treatment program allows patients to live at home instead of at the facility during their treatment. The outpatient treatment program includes the same therapies as the inpatient one, with the individual, group, and family therapy sessions included, following the 12-step recovery process and using the principles of the CBT and DBT. The official website of the Harbor Hall rehabilitation center states that most insurance plans are accepted, including Medicaid. Various payment options that the patients can choose from are available as well. For more information on the topic, please contact the staff via phone. The Harbor Hall rehabilitation center’s official website states that the facility has earned the CARF accreditation. The Commission on Accreditation of Rehabilitation Facilities, which is called CARF, is a non-profit organization with the sole goal to maintain only high-quality care and services by the rehabilitation centers that enjoy its accreditation. Transitional care is made available to the patients who have successfully completed their treatment at the Harbor Hall rehabilitation center. As a part of the transitional care, the patients are required to attend 26 weeks of counseling and group therapy sessions for their 12-step meetings. All patients are required to find a suitable sponsor as a part of this program as well. According to the official website of the Harbor Hall rehabilitation center, the professional team at the facility consists of a highly experienced and supportive Master-level LPCs (Licensed Professional Counselors) and CADCs (Certified Alcohol and Drug Counselors), as well as, LCSWs (Licensed Clinical Social Workers).